You know me and my love for ankle boots by now, but I often choose heeled boots over flat boots. 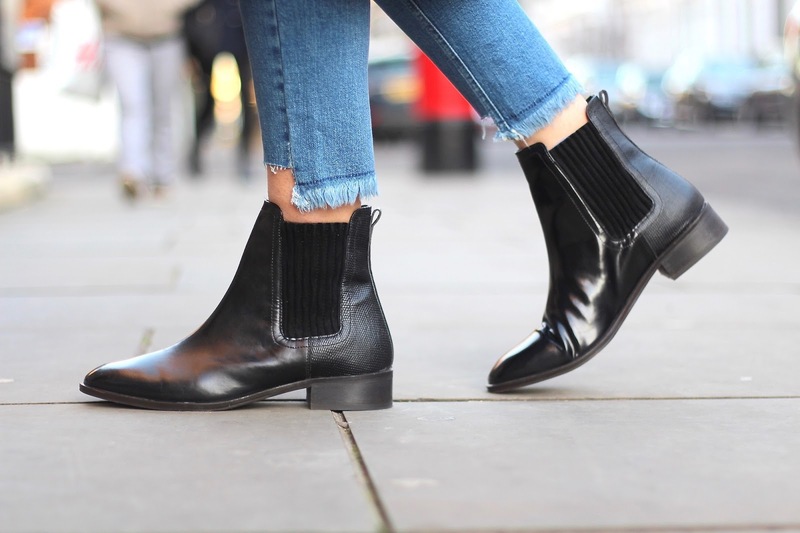 Picking out the perfect pair of flat ankle boots can be difficult but I think I've found the perfect pair! I'm a size 7 which is somewhat big for a girl I guess and I always think flat boots make my feet look like clown feet. I really wanted to find a good pair of flat boots to wear throughout the winter and these from Kurt Geiger have done me well so far. These boots have been the pair of shoes I reach for the most recently, especially in Portugal! I don't typically invest in a lot of clothing, I think it's because I have so many different pieces in my wardrobe already that I would hate to spend a lot of money on something that I will end up falling out of love with; but when it comes to shoes, I've really started to appreciate the pricier picks in my shoedrobe. My daily outfits have been super casual recently, that's what the festive period seems to do to me - I get a little lazy! 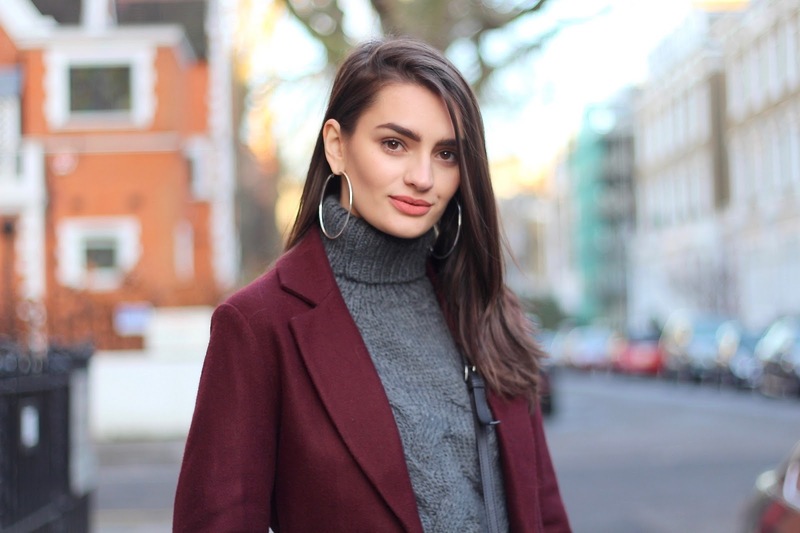 I picked out my cosiest knit from La Redoute, mom jeans from ASOS (duh!) 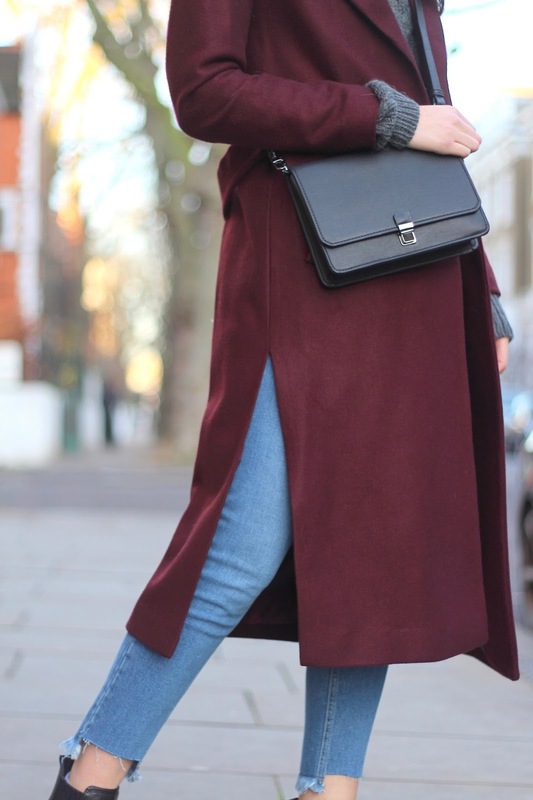 and one of my favourite coats from New Look! 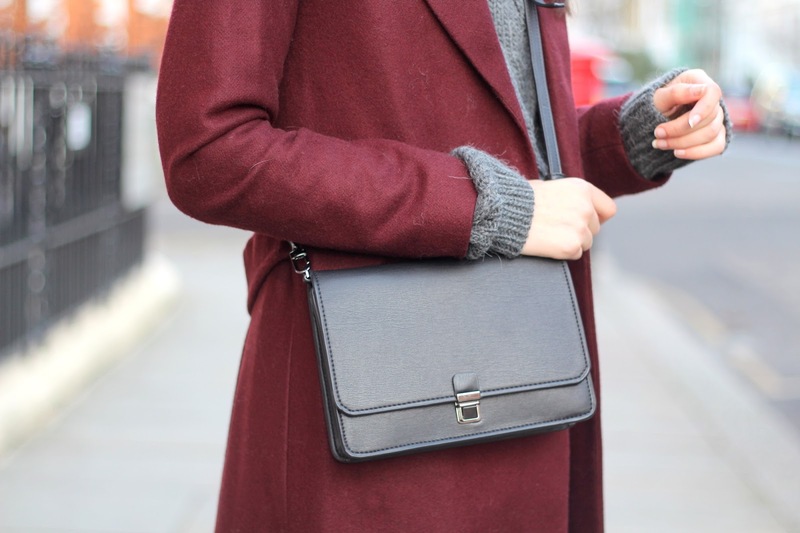 Bag - (c/o) Marc b.